Discuss Vladimir’s various attempts to assimilate. How is his behavior affected by his family and friends? What is he really looking for? Vladimir continues to identify himself as a poor Russian Jew, despite his mother’s success in America and his own opportunities as an American citizen. Why does he lack motivation to become successful in the U.S.? Why does he behave differently in Prava? Rybakov is also attempting to assimilate. In what way is he responsible for Vladimir’s journey? Discuss the irony and the role of the ‘fan man’. How does Vladimir’s mother’s intense desire for her son’s success backfire? Why does her pressure on him to assimilate also backfire? Vladimir doesn’t seem to care much about money in his days at the Emma Lazarus Society. How does his affair with Frannie change that? What is the newfound appeal of material success? Vladimir shows himself to be remarkably adaptable. Do you see this trait as a strength or weakness? What core values does he possess? History is an important character in this novel. How does it differently effect the lives of Rybakov? Kostya? Perry Cohen? What does the destruction of the Foot represent? What does is signify for Morgan and Vladimir? Look at the role of the women in Vladimir’s life. What do they contribute to Vladimir’s actions and development? 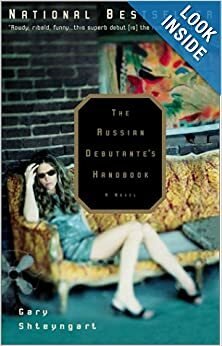 Do you believe that Vladimir has assimilated at the end–that his life in Cleveland as an accountant with a wife and baby on the way has finally Americanized him? Or does Vladimir’s nostalgia for his past status as an outcast reveal something more complex?